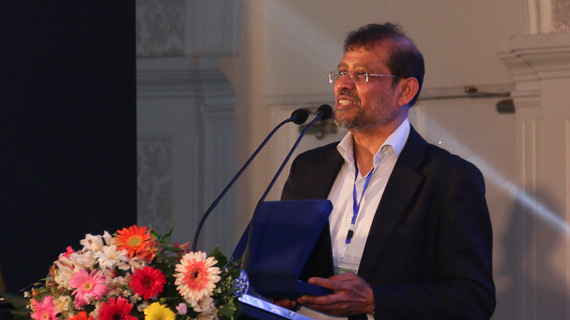 Dr Abhaya Induruwa, Director of the Cyber Innovation Hub, was invited to talk at the 11th International Research Conference held at General Sir John Kotelawala Defence University (KDU), Ratmalana, Sri Lanka on 14th September 2018. Dr Induruwa delivered the plenary speech entitled “Computer Science and Smart Currencies for the Modern World” in the session on Smart Solutions for Global Challenges. This entry was posted in Conference, Research and tagged Computer Science, Dr Abhaya Induruwa, Smart Currencies on April 8, 2019 by admin.